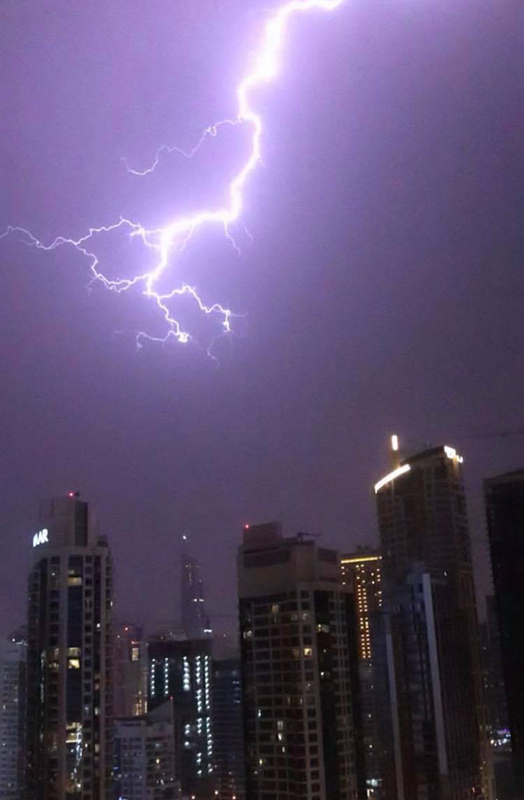 After several days of unstable weather in Dubai, from cloudy skies to minute-long downpours and back to full sun, Dubai was hit with an evening of more rainfall, strong winds and thunderstorms last night. 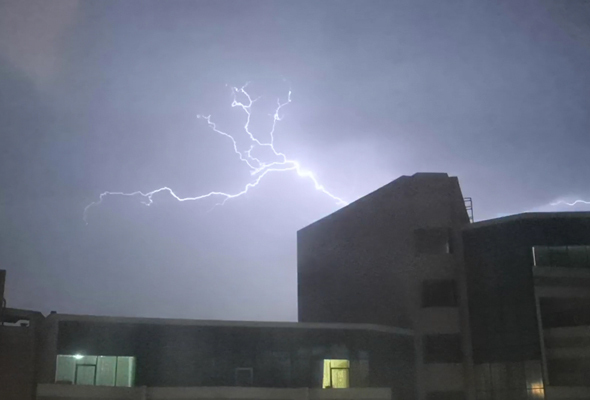 From around 8pm onwards, heavy rain was met with bolts of lightning and rumbles of thunder that lasted late into the evening. 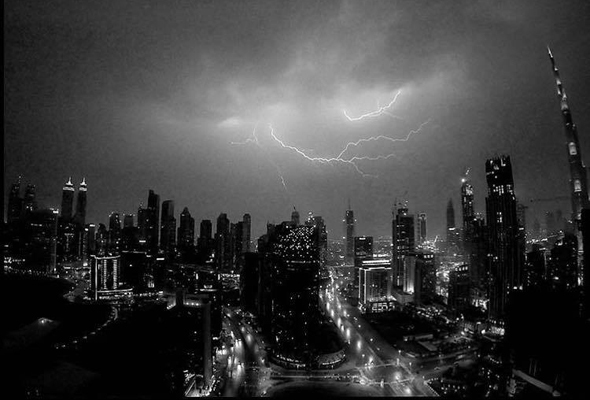 Videos shared to social media by local weather website storm.ae reveal the intensity of the storm. 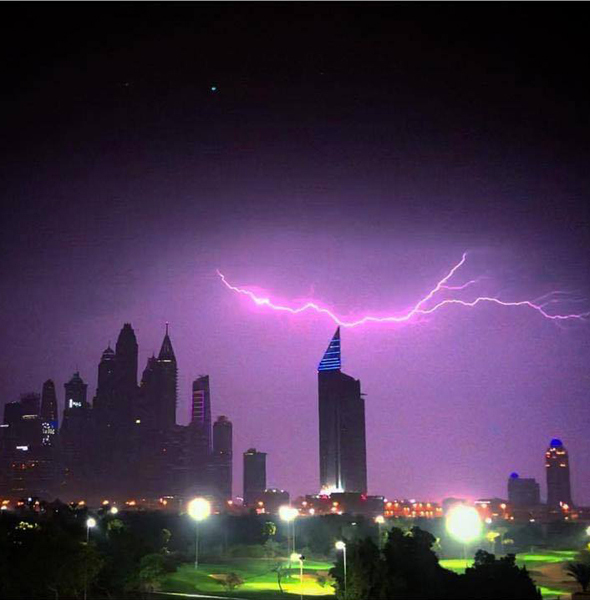 And several Dubai residents took to social media to also share their snaps of the storms in Dubai, capturing some pretty dramatic shots of the lightening.